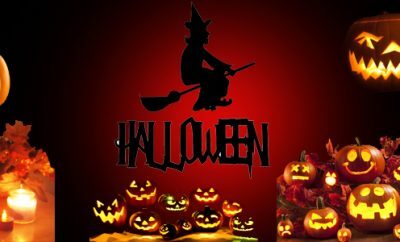 By the time, Halloween becomes one of the most famous Celebrating Event among the Countries of Europe and in United States. Without any specification, On Halloween all people have lots of fun in a Scary manner, and no doubt most of the people are awaited for the Halloween Festival 2018 . Before going to talking about anymore, let’s take a random view on the history of Halloween, celebration activities, and some interesting facts and figures about Halloween Eve; in other words, have look upon how the event initiate in early periods and how many changes occurs in its celebration until upcoming Halloween Festival 2018. The legend came to us that two thousand years ago, the Tribes “Celts”, named by their language, lived in certain area of Western Europe. These people followed such calendar which starts from the month of November, (ultimately their calendar ends with the date of 31st October). The end of year on their Calendar also brought the end of summer (their harvesting season) and began the extreme cold weather. Usually between this period i.e. the end of summer and beginning of winter season, Death rate had increased (on 31st October). So they used to believe that on the mentioned day, the Souls of the Dead came to them and could cause troubles to them and damage their crops. To protect themselves they used to celebrate the festival called “Samhain”, in which they performed bonfires, wore nonhuman or spirit themed of costumes and done many other activities. After many decades, when that region was influenced by Christianity, then that festival was also Christianized by early Churches. Then the resembled festival with ancient Celts’ Samhain, Initiated by new name called “Halloween”. (Ireland is considered to be the birthplace of the Halloween festival, mentioned on article based on facts about Halloween). In 1st November the Christians were used to celebrate the All Saints’ Day, to remember and honor to martyrs, saints and Christian faith peoples. Therefore, Halloween is also known as, “All Hallow’s Eve, “Hallowe’en” or “All Saints’ Eve”. 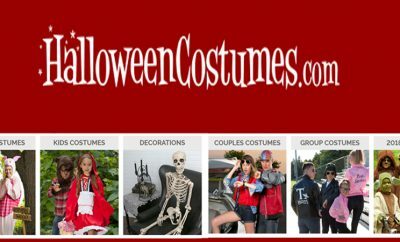 Alike other festivals, Halloween has many of interesting and entertaining activities. Here we will discuss some of the most common and popular activities on Halloween Eve. Generally it is observed that many annual events or festivals have brings their joy for children especially. But it is not observed with Halloween Event! All People whether male or female or the children, everyone enjoyed and participated in Halloween activities. Wearing Halloween mode of Costumes, had designed with unearthly or ghostly theme. Many interesting activities like Carving Pumpkins, lighting Bonfires, telling Scary Stories to each other, Watching Horror Movies, attending Halloween Costume Parties, and joyful activities have done by the peoples. One interesting game is also observed “Trick-or-Track”; In that game people reach door to door and asking to House owner with saying the phrase “Trick-or-Track”, which mean whether the House Owners give anything usually candies or chocolates to asked one, or asker would done any naughtiest act with them. Variation on traditional Halloween foods has found in countries to countries like Bonfire Toffee (In United Kingdom), Barmbrack (Yeasted Bread with added Sultanas and Raisins; Ireland), Monkey Nuts (Peanuts in their Shells; Ireland and Scotland), Candy Pumpkins (North America), etc. Other Foods are Soul Cakes, Halloween themed Cakes, Caramel Apples, Potato Pancakes, etc. A survey conduct by combined work of National Retailer Foundation and Prosper Insights & Analytics and published on 2017, they found the figures that American people spent the amount of worth 8.2 Billion on the Celebration of Halloween in 2016. They also expected that in year of 2017, the Halloween celebration expenditure would rise with worth 9.1 Billion in USA and their prediction was going to correct with approximately same figures in Billions. In New York’s village ‘Greenwich Village’, the annual holiday parade and street pageant, often called “New York’s Village Halloween Parade”, presented on the night of every Halloween; it is claiming that the world’s largest Halloween parade where in recent years it reports itself that 60,000 “costumed participants” and 2 million spectators were participated on that Parade. There are many other interesting facts and figures, but they would make the article very lengthy. The purpose of sharing the above results is to showing the highly engagement of American people with Halloween festival. In short there is no doubt that Halloween is becoming an inter-Continent Festival in recent years.